Who knew cats were such good cooks? Well, wouldn't you know it. There's a fancy-lookin' co-op game out, and the whole Co-Opticrew (myself included) has dropped everything so they can watch, mouths agape, as its dinosaurs do dinosaur things. Can you blame us, though? I mean, those dinosaurs are like, really pretty. Also, who can argue with a cat that fights for you and loves you and I want them to be my forever friend oh my god. As usual, we also have a few other games on the agenda. We'll be battlin' royale-style, wrestlin' public transportation, and leadin' civilizations. Check it out! Nick Puleo (@NickPuleo) - "Busy weekend, but I'll be dipping my toes in Endless Space 2 and continuing my PUBG addiction." Jason Love (@JLove55) - "Endlessly debating about what armor to wear in Monster Hunter: World. It's either "electric flying-squirrel snake" (Rush's best concept album, IMO) or "catfish ninja." hmm... choices..."
Mike Katsufrakis (@Pheriannath) - "Hunting Monsters and suplexing trains in FFXIV." Eric Murphy (@smurph_em) - "Bobby and I will be treating your eyes and ears to... a TBD co-op game. Just tune in to the Co-Optimus Twitch channel tonight and be ready for a surprise. Otherwise, I'm planning on firing up my OUYA and playing some retro games with the kids this weekend." Marc Allie (@DjinniMan) - "So much going on my gaming time will be limited, but I'd love to get some Heroes of the Storm and Super Metroid in here and there." Locke Vincent (@LockeVincent) - "Working on Monster Hunter World review." Tally Callahan - "Checking out Civ 6 and getting some board games to the table (probably some Spirit Island and Legacy of Dragonholt)." 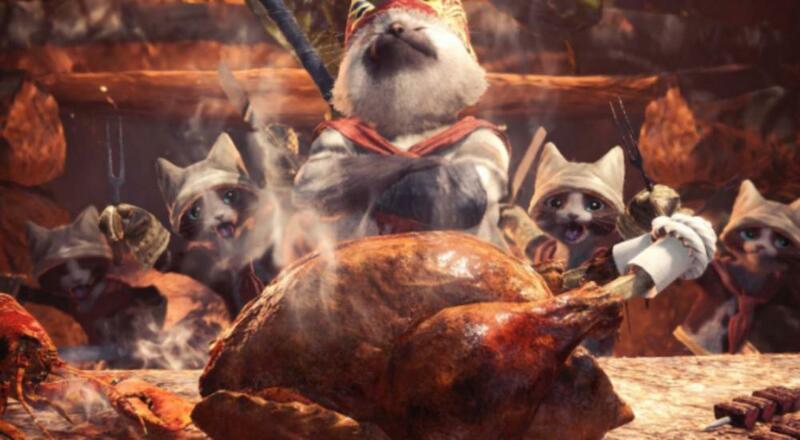 Enoch Starnes (@enochstarnes) - "I'm gonna keep exposing my cat-friend to horrendous dangers in Monster Hunter: World." Matthew Squaire (@mattaghetti) - "Binging Agents of Mayhem (and streaming it!) and if I can, going to dive into Metro Redux after!" So, what about you? Any weekend plans you wanna tell us about in the comments? Page created in 0.6421 seconds.